Ole has owned and operated his own business and has knowledge and experience of P&Ls, inventory, ordering, hiring and marketing. 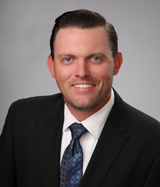 He spent five years as a private investigator and nearly twelve years in the food and beverage industry before joining Stevenson Real Estate Services where he plays a role in the growth and success of an outstanding team. Ole is an efficient decision maker and has exceptional interpersonal communication and leadership skills. His professionalism and attention to service helps to ensure the highest level of client satisfaction. He dedicates his personal time to coaching high school softball at Village Christian Schools in Sun Valley, and he is committed to building and maintaining relationships with the community. General Manager – Managed every aspect of the restaurant at two locations, Montrose and La Canada. Supervised 20 employees and was in charge of hiring, firing, and discipline. Within six months of employment, played an important role in raising the company’s net profit margin by 33%. This was done by cutting unnecessary labor costs, implementing policy and procedures, and addressing food and beverage profit margin issues. All while developing lasting relationships with customers and providing an exceptional level of customer service. Scheduling, ordering product, and maintaining kitchen and bar inventory. Developed a marketing and catering sales avenue for the restaurant that has paid off tremendously. Most recently, catered an event that lead to an account for a weekly order of 150 pizzas for a community school. Floor Manager – Managed the operations of bar, restaurant, and projection, ensuring the highest quality and customer service possible with a staff of 20-30 at all times; made everyday operational decisions for the company; handled customer complaints in a professional and friendly manner; maintained the lowest possible labor cost by operating with the minimum number of staff required to provide excellent customer service; coordinated and ran private events and corporate parties; provided a safe and hassle-free environment for VIP and celebrity clientele. Projection/IT Manager – Operated and maintained both GDC NEC Digital and Strong 35mm print, movie projectors; provided an extremely high understanding and knowledge of all audio and video equipment and was able to troubleshoot any and all technical problems that arose in a high-pressure and time-sensitive atmosphere; ingested, deleted, and managed appropriate content within the server; operated alternative content for private parties and corporate events (PowerPoint, Home videos, Amplified Audio, etc. ); maintained close communication with multiple movie studios and distribution vendors to ensure on-time delivery of correct content; assisted in general building maintenance. Lead Investigator, Private Investigator, Process Server – Investigated and specialized in locates, personal injury, criminal defense, covert surveillance service and asset and business fraud investigations; served summonses, complaints, subpoenas, writs and other court documents to individuals to whom such legal documents are directed. Also helped develop, and headed the firm’s skip trace and process serve department. This included the supervision of department employees.